What a dreamy creation. 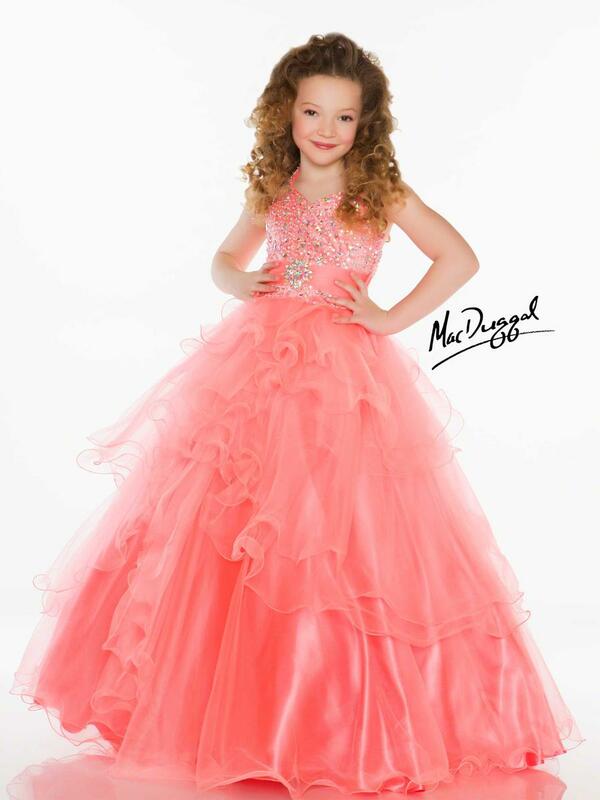 This little girls pageant gown is lined with rows of organza ruffles cascading down the skirt. One shoulder accent with sequins dripping down to the waist. Complimented with pink sash pulled tight with side broach. How adorable!